The Police Commission that oversees the L.A.P.D. 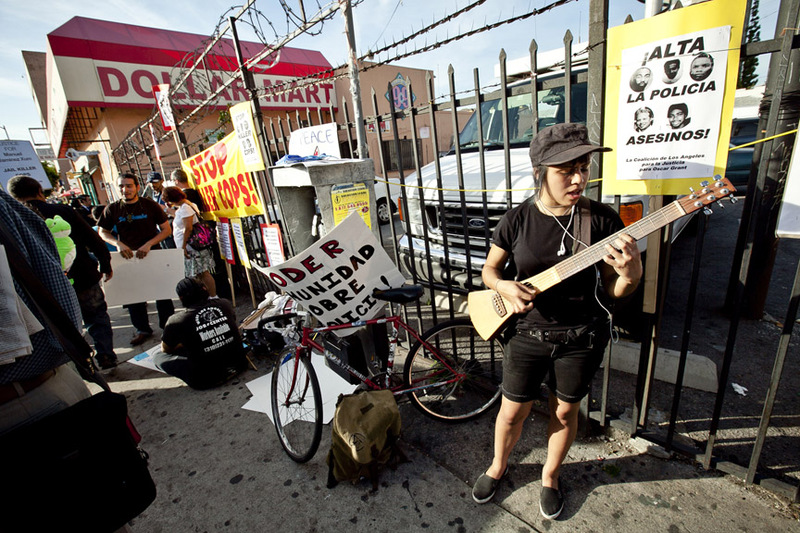 ruled today that the shooting of Manuel Jamines, a Guatemalan immigrant living in the Westalake area of L.A., was justified. Jamines was holding a knife when he was shot and killed by a L.A.P.D. officer last September 5. The officers repeatedly told him in spanish and english to drop the knife. Many area residents are angry on how the police used deadly force, instead of subduing Jamines. The shooting sparked two nights of angry rioting in the Westlake district of L.A.
L.A. Mayor praised the commission's ruling. In Westlake, L.A.P.D are on tactical alert this evening. L.A.P.D. 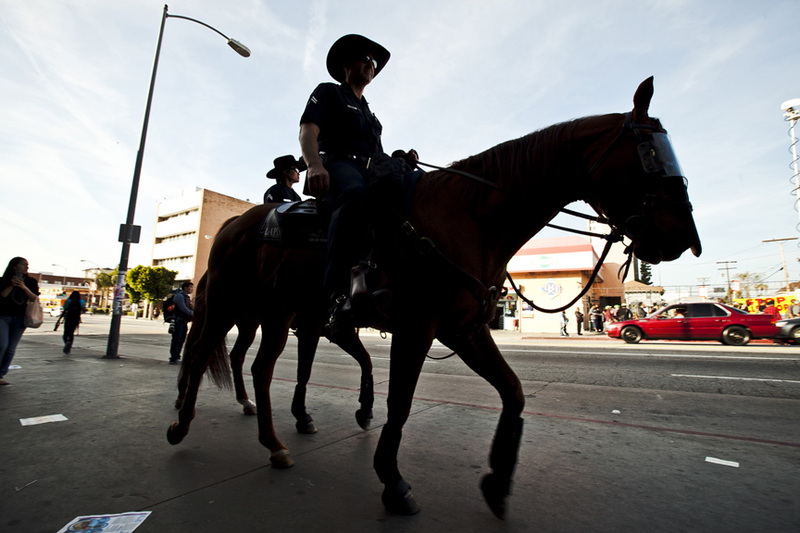 mounted patrol on 6th Street.